The water-based, non toxic conductive ink allows you to see how the circuit works and adds a whole art dimension to your project, It’s as simple as doodling on a piece of paper then connecting magnetic components that snap right into your circuit. No glue or soldering required. 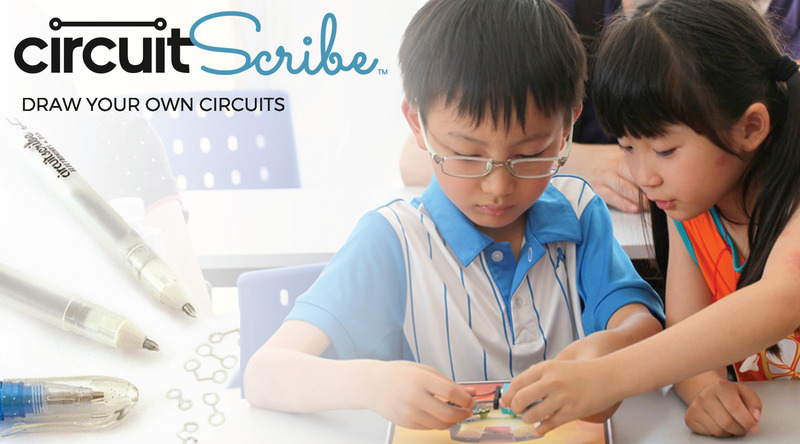 Circuit Scribe makes learning electronics fun and revolutionises how kids are taught electronics in schools. it’s about learning through creating. Circuit Scribe have a selection of kits & bundles on offer, ranging from basic to advanced. You can also use Circuit Scribe with Arduino, Makey-Makey, and many other electronic platforms. Together, these products have broad applications in the STEAM education and do-ityourself (DIY) communities.